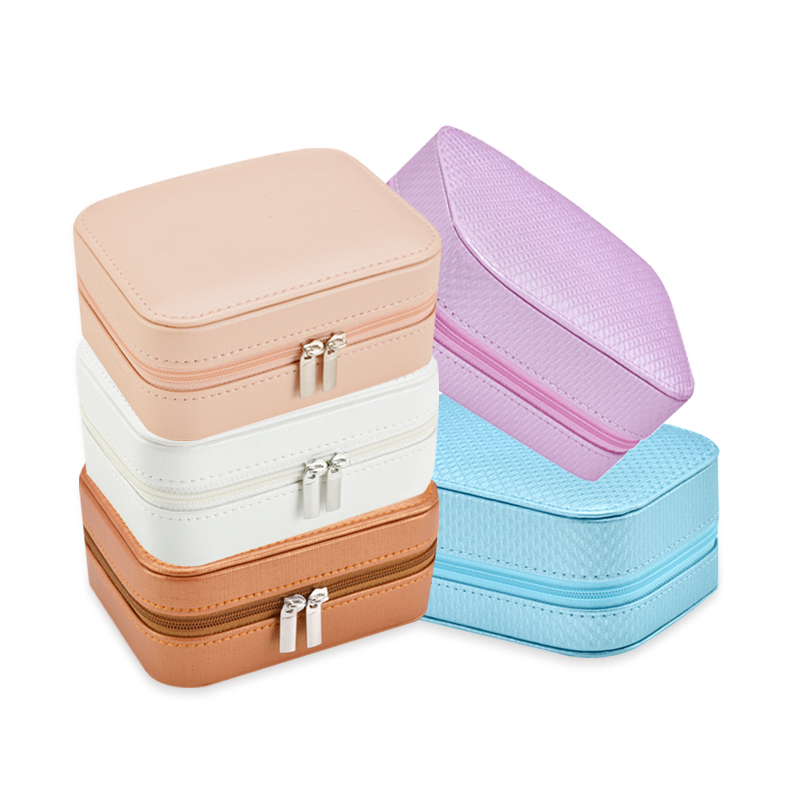 Durable PU leather and a velvet lining, has a unique style. 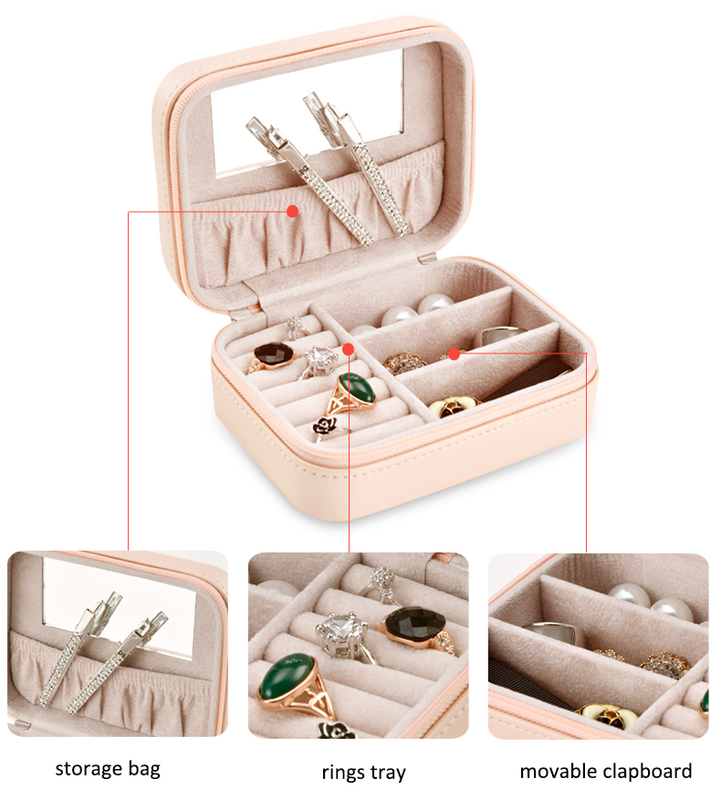 Great for storing rings, earings, chain necklaces, watches, and cosmetics. 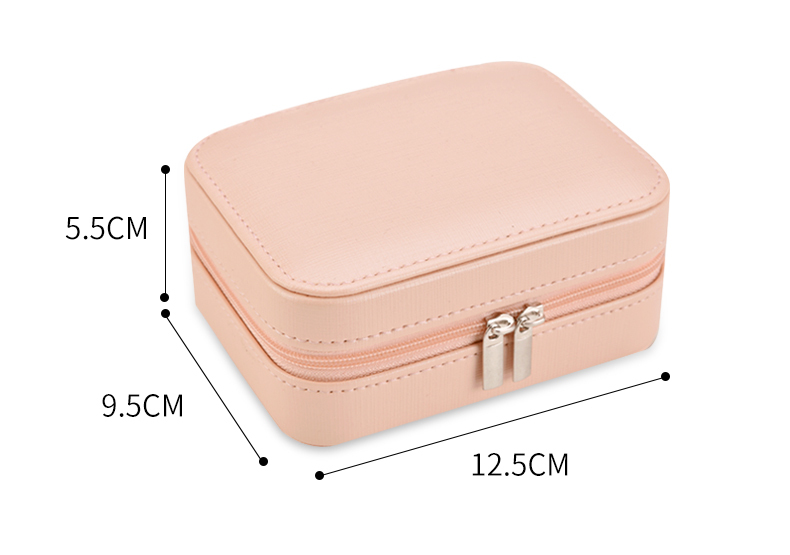 Small size with zipper, easy storage, display and portable. Good gift for girls or women.